The music world is without its Teddy Bear tonight. Soul music legend Teddy Pendergrass died from complications due to colon cancer late Wednesday at Bryn Mawr Hospital in his hometown of Philadelphia. He was 59. 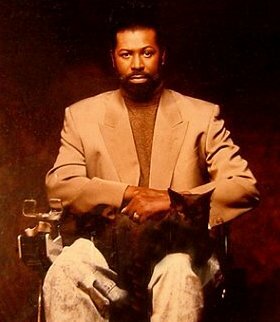 In a career spanning forty years, Pendergrass personified chivalrous seduction, enthralling listeners with his gruff, commanding voice and sentiments best expressed in intimate confines. Dubbed the Teddy Bear by his adoring female fans, Pendergrass famously staged “For Women Only” concerts in their honor (and much to his pleasure). 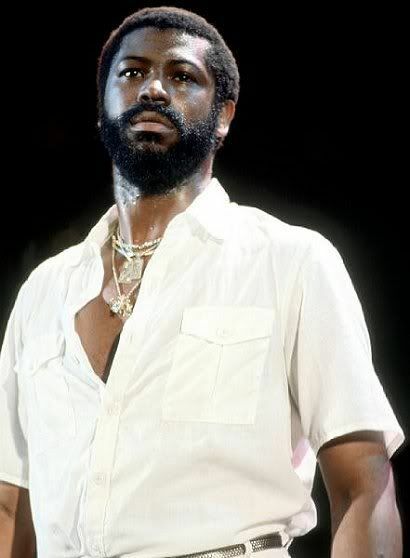 Pendergrass launched a solo career in 1977, turning out a string of hit singles—including “Come Go With Me,” “When Somebody Loves You Back,” “The Whole Town's Laughing At Me,” “Close The Door,” and “Love TKO”—putting him in the same league as Lou Rawls, Marvin Gaye, and Al Green. Only a devastating 1982 car accident, which rendered him paralyzed from the waist down, curtailed his burgeoning success. After lengthy and arduous physical therapy, Pendergrass resumed recording in 1984 with Love Language, featuring the hit single “Hold Me,” a duet with then-newcomer Whitney Houston. Subsequent albums, including Joy, Truly Blessed, and A Little More Magic, confirmed that despite his physical hindrances, his abilities as a singer and songwriter remained undiminished. In 1998 he published his autobiography, likewise entitled Truly Blessed, in which he chronicled his life and career to that point, underscoring it with the perceptions of a man who admittedly still grappled with the day-to-day realities that his disability had long forced him to confront. Aside from a handful of select appearances—arguably none so inspiring as the one he made at Live Aid in 1985—Pendergrass remained off the road until 1996, when he starred with songstress Stephanie Mills in a touring production of the gospel musical, Your Arms Too Short To Box With God. He followed that up with a critically acclaimed return to the concert stage, the tour documented on the 2003 CD/DVD From Teddy, With Love.